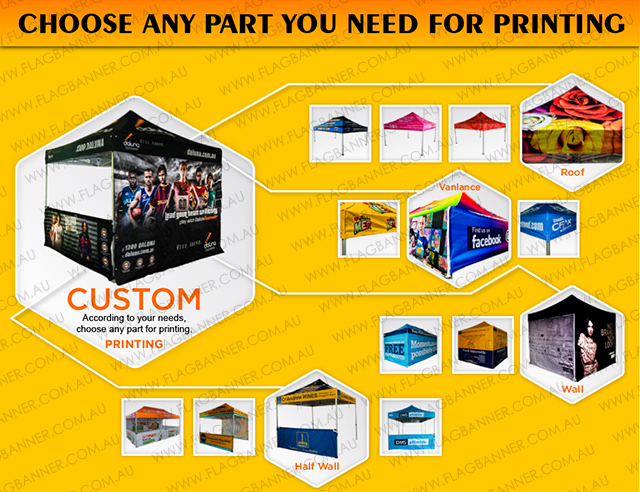 3m x 3m (10 x 10) Custom Branded Marquees , Gazebos, Tents are ideal for a wide range of outdoor events. 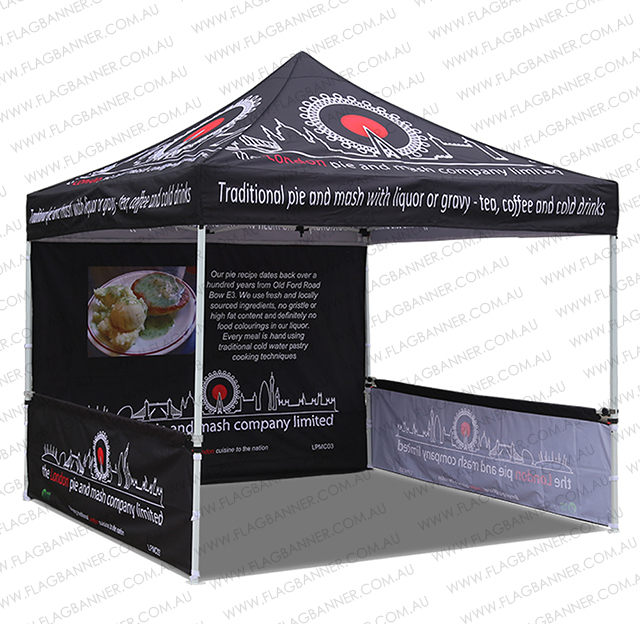 They are available in a variety of sizes and styles including 3m wide,4.5m wide, 6m wide. Standard and custom printed graphics are available to add messaging or branding. My artwork has been set up in template & ready to print. 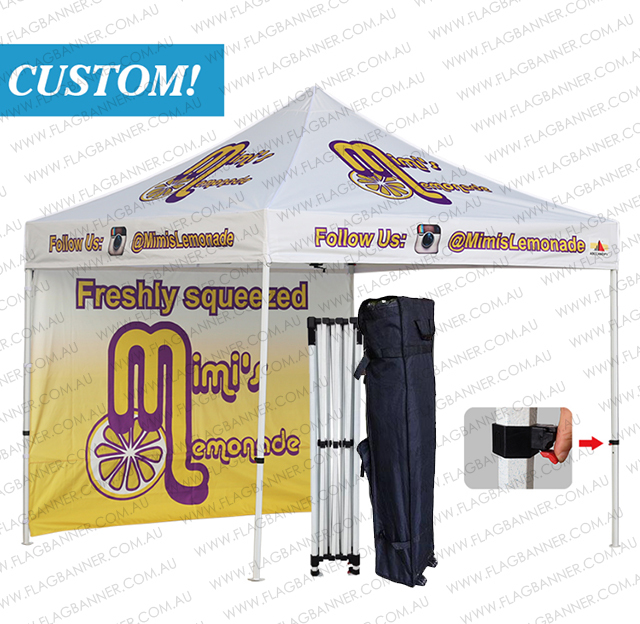 Outdoor Marquees , Gazebos, Tents are ideal for a wide range of outdoor events, It a must have Banner Product for New Year Event, Easter Show Event, BBQ Event, Promotional Sale Event.They are available in a variety of sizes and styles including 3m wide, 6m wide, pop-up, inflatable and tubular. Standard and custom printed graphics are available to add messaging or branding. 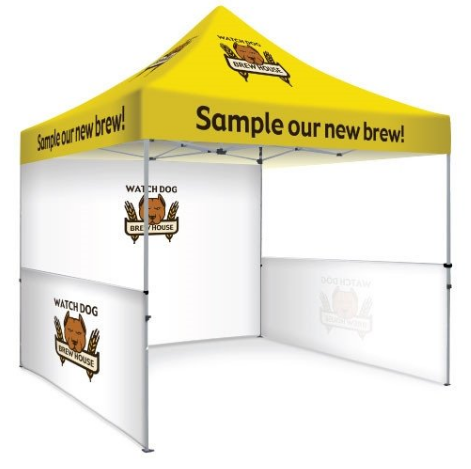 Browse the wide variety of outdoor tents available! 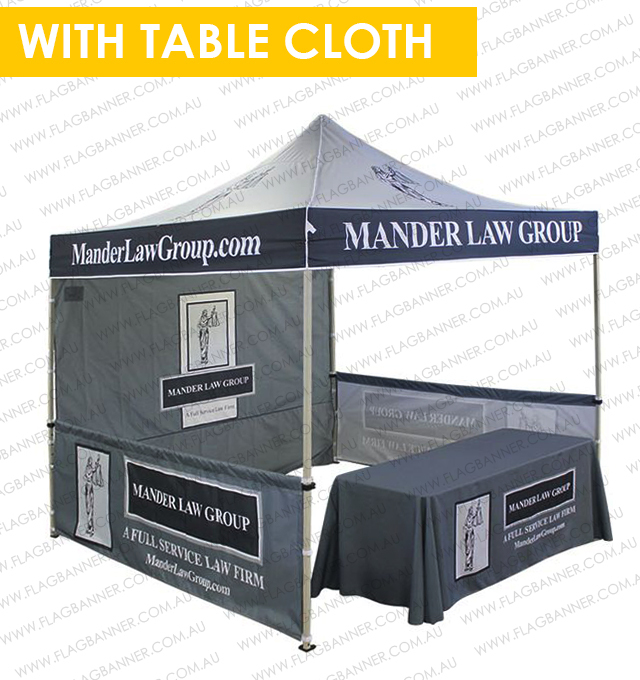 Strong, solid and stable, Our Popup Marquee(Pop up Gazebo, Pop up Tent) is great for outdoor fairs, exhibitions, sporting events and arenas, concerts, festivals and more. Printed graphics are long-lasting and can endure exposure to outdoor elements. 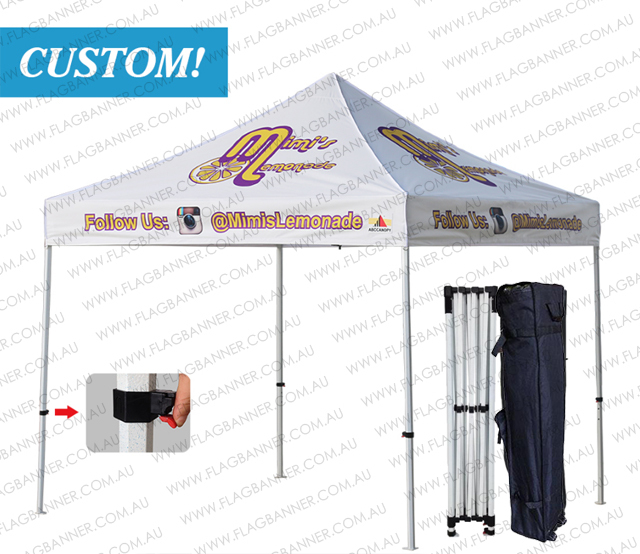 Polyester canopies and sidewalls are water, wind, and UV-resistant, providing the ultimate protection from the sun. Coverage area shades up to five people comfortably. 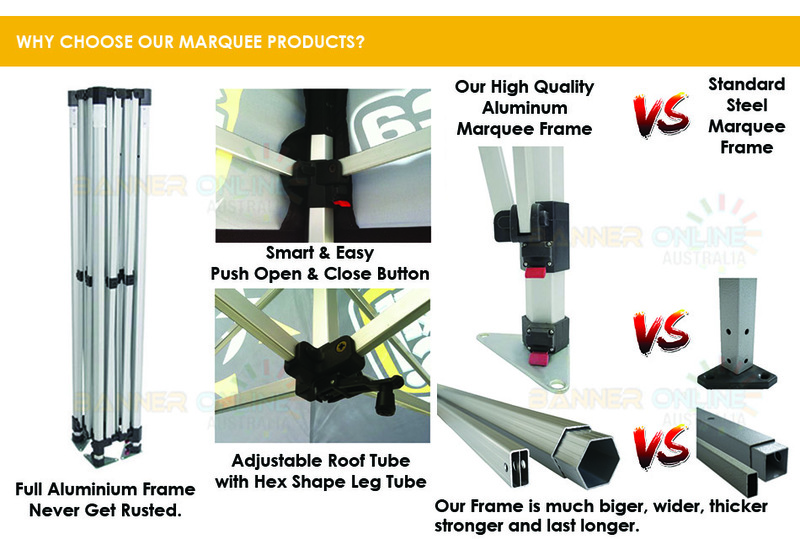 - Super heavy duty hardware frame. 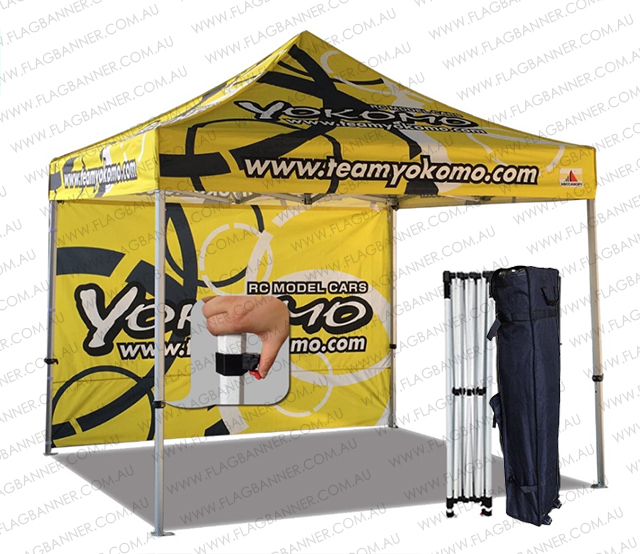 - Full kit ready to use, including Printed Roof (Canopy), hardware frame, rolling carry bag. - Options for Full wall Panel or Half Wall Panel Printing. 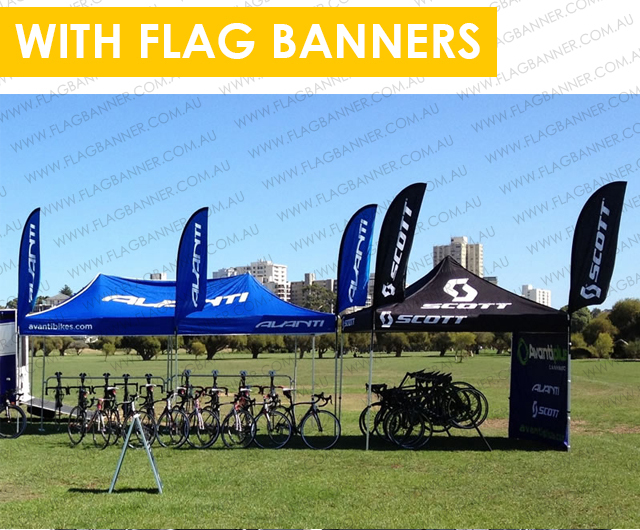 1.Choose your flag shape, size, printing options & flag base options, and Place your order Online. The General Production takes about 5-7 working days for this product ,after clear of Artworks and Payment. Urgent Production might be available according to Factory Daily Prolificacy.Please contact us if your order is urgent. 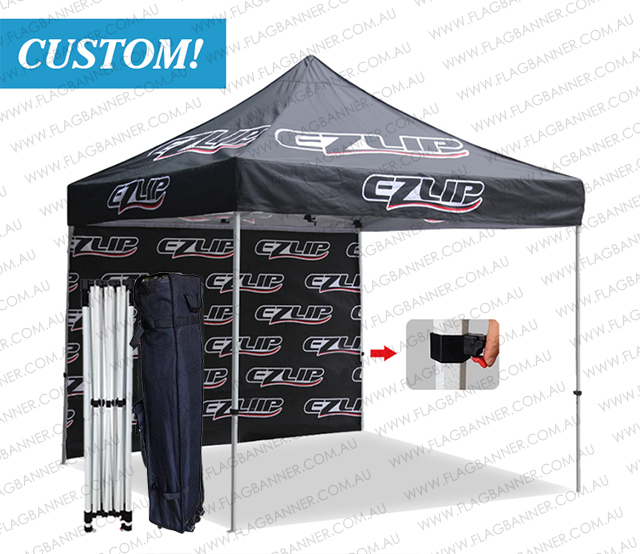 Email to info@flagbanner.com.au or Use our online contact form or Call us on : (02) 9640 0430. We are happy to help you on any problems. *ALL PRICE NOT INCLUDE GST & FREIGHT. 10%GST APPLIED TO ALL GOODS SUPPLIED.